I am grateful to the Lord for redeeming me! I am blessed to call Jesus my Lord and Savior, and serve Him at Calvary Chapel Delta. I was born in Russia into a large family. My parents were saved through the underground church movement. As a little boy, my parents took me to church. When I was 12, I heard a clear presentation of the Gospel and I asked Jesus to forgive me of my sins. At the age of 15, my family moved to Germany, and a year later I was baptized in a local church by immersion. I had the privilege of attending Word of Life Bible Institute in Schroon Lake, NY, and Liberty University in Lynchburg, VA, where I received a BA in Pastoral Ministries. While attending Liberty, I surrendered my life to serve and follow the Lord during one of the missions conferences. After graduating, the Lord brought me to New Jersey, where I worked as a missionary with a Russian Christian Radio ministry. 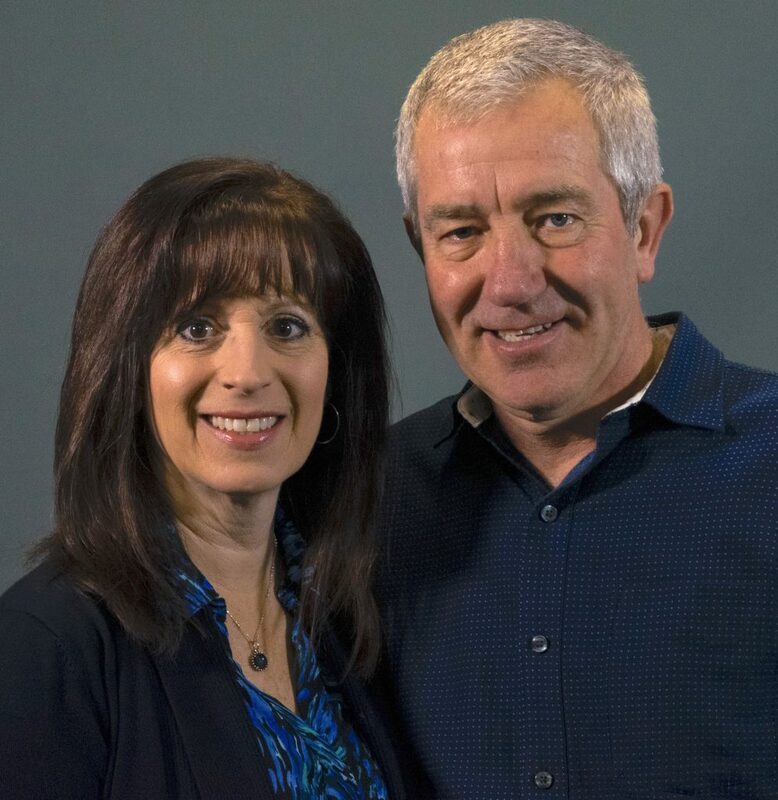 I met my wife, Debbie, at Calvary Chapel Old Bridge, NJ. We were married in 1990 and shortly after that I was asked to come on staff with the church. Believing God had called us to missions, my wife and I prayed for the Lord’s direction. Under the leadership and supervision of CC Old Bridge, we began a non-profit organization called Gospel for Russia, and we were sent to Russia to oversee the translation and recording of Pastor Chuck Smith’s teachings through the Bible, as well as the translation and printing of books by Chuck Smith, Gayle Erwin and Lloyd Pulley into the Russian language. After eight years of ministering in Russia, and upon our return back to the States, we settled in Lynchburg, Virginia, and began serving in a local church. Once our children graduated High School, we began to prepare to go back to the mission field. We may plan our way, but it is God who directs our steps. In 2015, God directed us to Calvary Chapel Delta. I praise the Lord for His sovereign plan in hand-tailoring a position that encompasses my two passions and for allowing me to serve as an Assistant Pastor with a focus on Worship and Missions. My prayer is that my life would bring glory to God by equipping the saints for the work of the ministry by training the next generation of worshipers, and to see the body built up to reach a lost and dying world. John 8:32: “Then you will know the truth and the truth with set you free. I was brought up in a morally strong home. I even went to Sunday school. We knew very clearly right from wrong, but unfortunately, Jesus was not the center of our lives. The church we attended was not a Bible-teaching church. Though my parents were wonderful in many ways: loving, guiding, supportive and giving, we didn’t have the spiritual aspect to our family; thus, we were not given a firm foundation. So, when I entered High School, I struggled greatly with my moral upbringing. Not only did my moral foundation crumble, but I bought into the world’s lies: have Popularity, Power, Position and Prestige. I went after it all. I was a very serious young lady with strong goals and clear direction (bought into the women’s lib thing). After what seemed like incredible success for someone my age, eight years later, through a serious of events, it ALL fell apart. I poured my life into worthless pursuits, and I was left completely empty-handed. I lost everything: my hopes, my dreams, and my future; so it seemed. I found myself alone and unemployed. I ended up meeting some new friends. They were the wrong kind of friends. Since I had spent my teen and young adult years being “too serious,” I decided to join in for the fun of it. Again, my moral foundation crumbled. Very poor choices led me down some very dark paths, which ultimately almost cost my life. After this wake-up call, I questioned everything. How did I get so off track? What did I want? What did I need? What was life all about? I began seeking truth. Praise God, He is faithful to seek that which is lost. Jn. 3:17: “For God did not send His son into the world to condemn the world, but that the world through Him might be saved.” That I might be saved!! I soon found myself among Christians. I picked up a tract, and met someone who shared the gospel with me. I confessed my sins to Jesus, accepted Him as my Lord and Savior, and I was set free! Not only did Jesus deliver me from the horrible life of sin, but He also made me brand new. He gave me a hope and a future! 2 Cor. 5:17: “Therefore, if anyone is in Christ, he is a new creation; old things have passed away; behold, all things have become new.” I was a NEW CREATION – clean, pure, loved, and accepted by my Heavenly Father! I spent the next several years learning about my Lord, and growing in my Christian walk at Calvary Chapel Old Bridge. During this time, I believed I was called to go to the mission field, but did not know when and where until I met Alex Ertel in 1989. After we were married in 1990, we went to Russia where we spent the next 8 years doing the work of the Lord. As a newly married woman and mom I learned many lessons in Russia that also became very foundational in my walk with the Lord. Upon our returning home, Alex and I with our two children settled in Lynchburg, Virginia, and began serving in a local church. I had the privilege of being involved with the women’s and youth ministries through conferences, small groups and studies, as well as serving on local outreach and missions teams. Once our children graduated High School, we began to prepare to go back to the mission field. We may plan our way, but it is God who directs our steps. In 2015 God directed us to Calvary Chapel Delta where we now serve. I praise the Lord for His sovereign plan that brought us to Pennsylvania, and for allowing us to use all that He has put into our lives to serve the body of Christ in Delta. Alex serves as the Assistant Pastor, overseeing worship and missions. Alex & Debbie serve together as part of the Pastoral Care Team.